This poem is based upon a true story about Mary Webster, and is written by one of Mary Webster’s descendants. 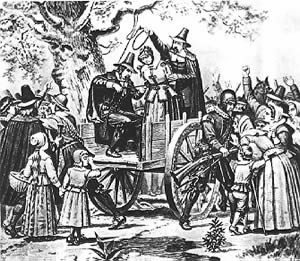 "Half-hanged Mary" was Mary Webster, who was accused of witchcraft in the 1680's in a Puritan town in Massachusetts and hanged from a tree - where, according to one of the several surviving accounts, she was left all night. It is known that when she was cut down, she was still alive, since she lived for another fourteen years.